The minor works division at Hobson & Porter has enjoyed another successful year working with the Hull & East Riding Council, the Shoreline Housing Partnership and Smith & Nephew – to name just a few. The long-standing division of Hobson & Porter has seen a considerable rise in contracts over recent months, with new business wins, ongoing portfolios and contract renewals. Recent projects include the £0.5m refurbishment of The Pocklington Arts Centre and the £0.63m JCT600 Volkswagen showroom refurbishment in Hull, both of which were successfully completed on schedule this month. (April 2016) As with many of the contracts taken on in the department, the nature of the work often leads to repeat business, which, combined with the successful delivery of projects, has been key to the growth of the department. “Whilst our minor works division has experienced a regular flow of work for some time, we have experienced a peak in this period within the growing city boundaries in recent months”, said Jon Craven, Minor Works Director at Hobson & Porter. “There is certainly a buzz around the city leading up to 2017 and confidence overall is building with clients investing in projects and upgrades. The construction industry has really started to find its feet after the recession, which dealt the industry a monumental blow on a national and international scale. 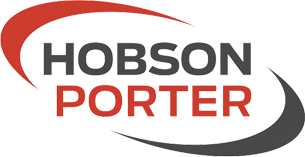 Despite some challenging trading conditions in recent years, we are proud to be experiencing the upturn and witnessing the continued investment in our home city in particular.” Hobson & Porter is regionally recognised for managing building projects of all shapes and sizes across the Yorkshire and Lincolnshire region. With a diverse range of clients covering the Commercial, Education, Energy, Healthcare, Housing, Industrial, Leisure, Listed Buildings, Public, Regeneration and Retail sectors, the construction company has earned an excellent reputation for safety, quality and project delivery. Hobson & Porter has also recently been successfully accepted onto the Yorbuild2 framework and is proud to be an associate member of the Considerate Constructors Scheme.